We are just getting started compiling useful Ukraine resources here. If you know a good website not listed here please tell us in the comments below and we’ll check it out and add it to the list. Fiance Visa Information from the US Ukrainian Embassy – They have a great site with a walk-through of how the process works. US State Department Ukrainian Information Site – lots of detailed information for US citizens traveling to Ukraine including Visa, passport, and much more. A definite “must read” resource before you plan your trip to Ukraine. Detailed Information About Ukraine - History, geography, currency and a whole lost more information about Ukraine than even the Russians know! Also, great links to very useful resources for more. The US Embassy in Ukraine website – this site has updated news stories about local Ukrainian affairs as well as grants, aid, and lots of useful links. Hey, it’s your tax dollars at work. Be sure to visit the link at the top of the page for our “Visa Attorney”. You’ll find a full description of the US Visa process and a Webinar dedicated to the topic. When you marry your fiancée you can legalise your Ukraine marriage in Canada. 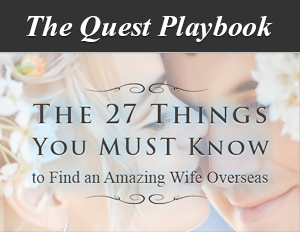 This came from: http://www.marriagevisaworld.com/ukraine - which appeared to be a good resource.